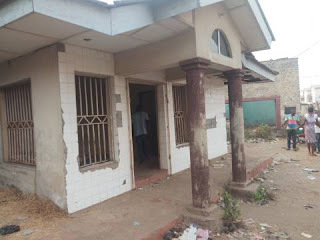 It will be recalled that, few years ago, a ritualists’ den was discovered at Soka area of Ibadan where scores of people had been killed and several others agonizing for help. The news of the den suspected to be ritualists’ den filtered the ancient city between Sunday evening and Monday afternoon. This made journalists in the state to visit the area. It was discovered that there was a tunnel for the control of the flooding on the Dugbe/Eleyele expressway, few metres away from the state police command headquarters in Eleyele. A source in the area told our correspondent that policemen were at the scene to arrest the suspected ritualists.